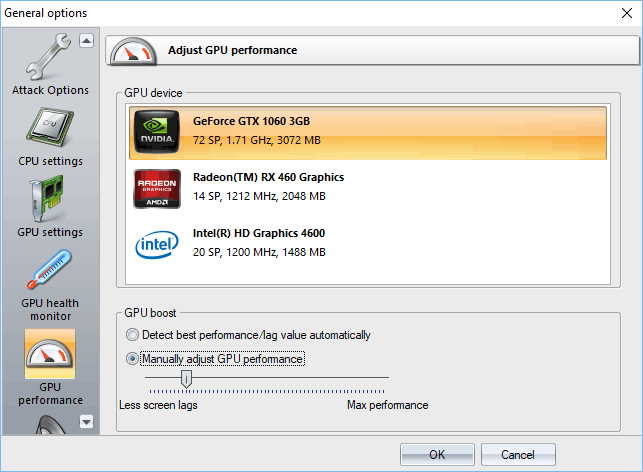 New versions of the program come with the GPU performance adjustment option now. By default, the program automatically detects best GPU load value. You can, however, adjust this value by switching to the manual mode. For example, if you want to watch a video while the program is brute-forcing WiFi passwords, reduce the GPU performance to the minimum possible.